Here comes Benny the Bull as he's ready to dunk one! Get ready to support your favorite National Basketball Association team! 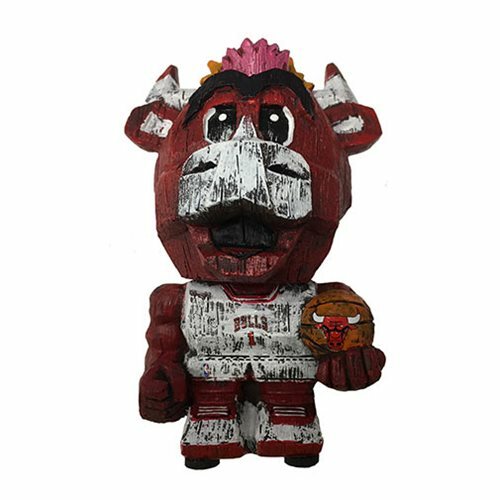 This NBA Chicago Bulls Mascot Eekeez Mini-Figure measures approximately 4-inches tall and the detailed polyresin is handcrafted to depict a realistic wood carving effect. Comes packaged in a window display box.